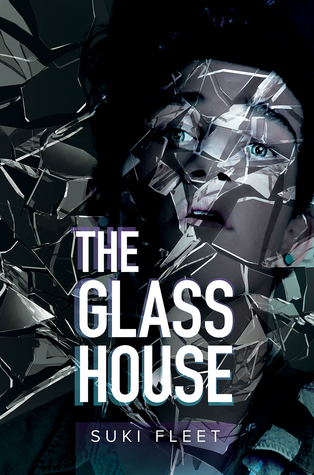 The Glass House is the must-read new release from Suki Fleet about two almost-men: Sasha and Thomas. They’re the perfect study in contrast, how opposites work so well together to form something better, something greater, something meaningful. In my mind, Fleet has always been about giving her characters top billing, and here they shine. Sasha has issues. He’s that damaged kid in us all, the one who wants to push everyone and everything, just to see how far it’ll all go before the breaking point. As different as he is from me, I understood Sasha. I got the pain and anguish he felt at being…abandoned by life. I related to his need for love, but also to his desire to sabotage the affection he receives. Sasha resonates because a little of him is in all of us. Even in the midst of his self-inflicted (and sometimes not) screw-ups, Sasha never crumbles, not really. He’s driven and tenacious, and I admired that about him so much. I also love that there’s a strong female role model in Sasha’s life, his sister, who desperately wants him to succeed. I further love the other strong, positive supporting women Fleet includes in the story. It’s subtle, the way Fleet does that, but it’s clear and it’s powerful: women matter. Thomas is strong, quiet…persistent in his approach. He might step back when he’s pushed, but he’s no shrinking violet. For all the ways I connected with Sasha, I loved Thomas’ strength and development and gentleness. I want to be Thomas, to be that person that never gives in and never gives up. These were just a few of the words rolling around in my head while I was reading, and I feel they best describe what this story is all about. Getting to know Sasha and Thomas, individually and together, well, how could they NOT be meant for each other? I can’t help but look at those words above about and think, yeah, that’s how they fit. They’re simply meant to be. I guess I’m spending a lot of time talking about Sasha and Thomas (and not the plot) because they were the book for me. Obviously there are reasons they connect. Their common denominator is school, but especially art: glass, paper, drawing. The story, the what-happens-to-them, is special and powerful, in the most unassuming ways, so that you never forget the tension and push/pull of them and their everyday lives. Beauty, depth, anxiety, happiness: it’s all there, in the story. I can’t sing any louder about the simple wonder that is this book. I love it so much. If you’ve read my reviews of two other books by this author, I guess you know by now: I’m in love with Fleet as a writer. She has a gift, and everyone should read her stories. That’s right: All The Humans should read All Her Words. The Glass House is gorgeous. Please grab it just as soon as you can. I love Suki’s writing too. You can’t fault a word usually. They’re gems. This entry was posted on April 14, 2015 by Jenni in Contemporary, Reviewer: Jenni, YA / NA and tagged 5 Stars, Harmony Ink Press, Suki Fleet, YA.